Somewhere between dessert and side dish is everyone’s favorite congealed salad. While I do not always put them in the salad category, “it is what it is” – as they say. I recently asked Facebook and Twitter friends about their favorite holiday foods. Of course, everyone loves their turkey, ham and cornbread dressing, but it was interesting to see how many people love all of the special side items and desserts made by special friends and family. I remember “Aunt Gussie” (she was not our aunt, but everyone else called her that) making a “kid-friendly” congealed salad of sorts in individual pudding glasses. They were WONDERFUL! Prepare the Jell-o according to the directions and add marshmallows and bananas. 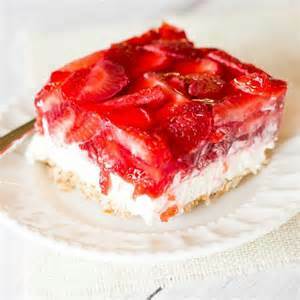 Reba Thompson has a more “grown up” Strawberry Congealed Salad with pretzels that she loves to serve at family gatherings. Mix sugar with butter, then add pretzels. Press mixture into a 9” x 13” dish. Bake at 400 degrees for eight minutes. Cool and refrigerate for 30 minutes. Smooth the filling over the cooled crust. Dissolve Jell-o in boiling water. Add strawberries and stir until thawed. Pour over the cream cheese layer and refrigerate until set. It serves 4-6 large servings. Tracy Palmer said her mom’s Blueberry Salad is a favorite at their family gatherings. Dissolve Jell-o in boiling water. Stir in pineapple and Blueberry pie filling. Pour into 13”x 9”x 2” pan. Chill until firm. For the topping, beat cream cheese, vanilla, sour cream and sugar until smooth. Spread on Jell-o mixture. Sprinkle with chopped pecans. Return to the refrigerator until ready to serve. While she doesn’t have her grandmother’s exact recipe, Roberts said “dump salad” consists of a large box of unmade orange Jell-o, cottage cheese, Cool Whip, sliced peaches and crushed pineapple. Do you have a congealed salad recipe you would like to share? Send it to gwenwoodssisson@yahoo.com. This column was published in the January 6, 2017 edition of The Winona Times.